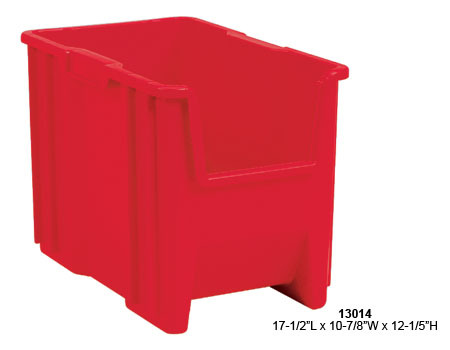 Stack and Store tote bins from Akro-Mils are the perfect solution for organizing heavy, bulky items. 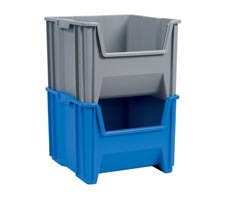 These bins are stackable to form tall, stable storage arrangements on the floor or on standard industrial shelving. A full 75 lbs. 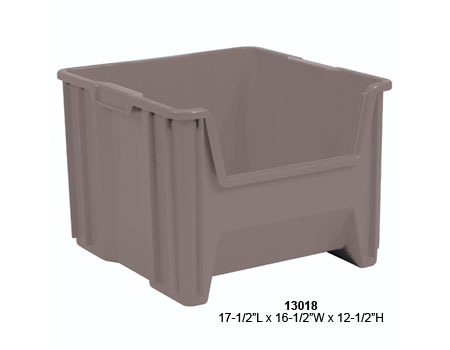 weight capacity allows for secure storage of heavy items. 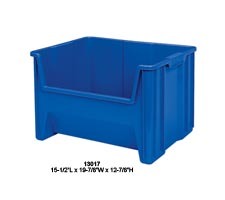 Large radius corners and curved upper lips add strength. Side ribs add stability when stacked. 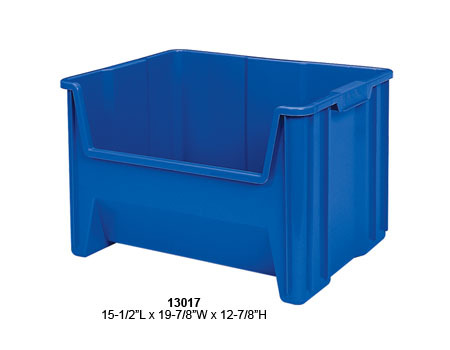 Wide-hopper front allows easy access to bulky items. 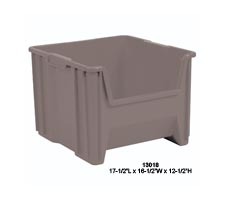 Large comfort grip handles make for easy portability. 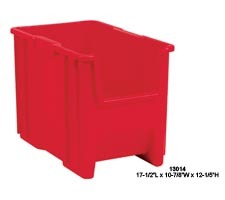 These cabinets can be found in print shops or auto body repair businesses all over the country. Air doors are an energy saver in any busy dock area all year round. 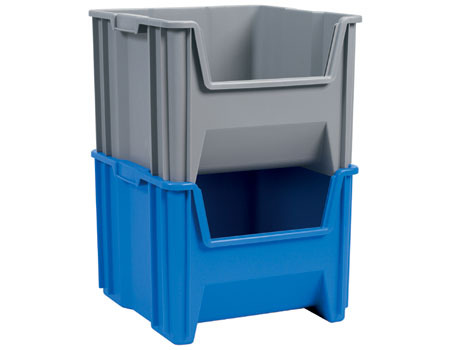 Heavy-duty stackable storage makes storing heavy, bulky items easy.